Can Low-Carb Diets Be Good For Runners? A lot of fitness enthusiasts support eating low-carb lifestyle diets adapted from the traditional Atkins diet… typically with labels like Keto and Paleo, as well as carb-limited variants like the Bulletproof, Carnivore or Primal diets. The obvious problem for runners interested in these diets is that running is the one form of exercise that demands a LOT of quick-burning glycogen, which can only be properly supplied by a diet rich in carbohydrates. Running minds like Hal Higdon and Matt Fitzgerald outright recommend avoiding low-carb diets and to build your diet around 60+% carbohydrates. Fitzgerald in fact found in his research for his book The Endurance Diet that pretty much every elite coach and endurance athlete he consulted with subsisted on a diet rich in carbohydrates. While not as popular elsewhere, the 10 Mile race distance is somewhat popular in the Midwest, especially in Chicagoland. 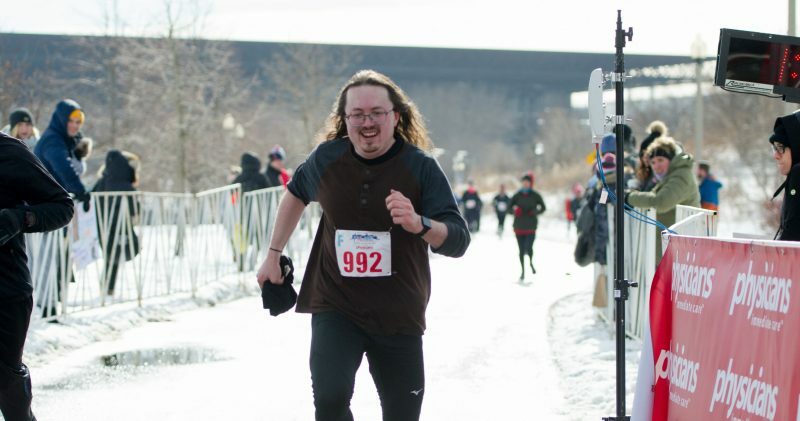 Chicago alone has two major 10 Mile races, the Lakefront 10 in April (my favorite race) and the Soldier Field 10 in May. Several others (Quarryman Challenge and Fort2Base) are annually held in the suburbs with high turnout. There’s also the 15K (9.32 miles), the close metric cousin of the 10 Miler, and the Hot Chocolate 15K is another popular Chicago race held in November. Because the distance is not popular like the 5K, 10K, half and full marathon distances, there’s not a lot of strategic material on how to race the distance. The next shortest popular distance is the 10K, which is over 6K shorter. Most runners approach it similar to a half marathon, even though the distance is about 5K shorter and experienced runners are probably leaving a bit in the tank. Jenny Hadfield crafted a smart approach for marathoners and half marathoners running their first race, and I think it translates well to the 10 Mile distance for most people. Along with new runners to the 10 Miler, Strategy One probably best for experienced runners who put in less than 65 miles a week. You run the first 60% or so of the race at an easy pace to comfortably maintain. The final 10% is closer to a max effort for whatever you have left. It’s a great strategy in that it doesn’t necessarily have to be built around pace, but around your perceived effort. If you’re not too fixed on finding goal paces, you are welcome to stop there. Just run the first 6 miles easy, the next 2-3 miles comfortably hard (if you’re running a 15K, it’s 2 miles), then go for it in the final mile. Start at half marathon pace, and hold this pace until Mile 6. At Mile 6, pick it up to a 10K effort. If you can’t hit your 10K pace, then 10K level effort is enough. You basically want to treat this section like the last half of a 10K, except don’t kick or accelerate as you would in mile 5. Just pick it up as if you were trying to run an even 10K with a slight negative split. Once you see the finish line and know you can get there, kick. Strategy Two: 10 Mile pace, defined. The other approach is of course to run the entire race at a chosen, suitable pace as you would any other race. But what would be an ideal 10 Mile pace? Much like an ideal half marathon pace, it’s an intensity reserved for only the most well-trained, durable runners. This is why, as previously implied, it should only be attempted by experienced runners who consistently log more than 65 miles per week. Top half marathoners race at about their lactate threshold intensity, which most schools of thought refer to as Tempo, Cruise or Threshold pace. It’s around 85% of your max, and the reason most recommend a slower half marathon pace for most is because most can’t sustain that kind of effort for the time it takes them to cover 13.1 miles. An elite runner can clear 13.1 in a bit over an hour, so it’s not as taxing for them. An optimal 10 Mile pace is around the high end of Threshold tempo, right before drifting into 10K territory. Most runners can’t sustain that effort for 75-100 minutes, but a fast runner that can clear 10 miles in under an hour can do so easily. The key gauge is the longest period you can manageably sustain an uninterrupted threshold effort run. If you can’t go at least 6.5 miles straight at that intensity, asking you to do it for 10 is probably too much. Hence the previous Hadfieldian strategy recommending you go by feel, start easy and basically assure yourself an excellent negative split. Add your half marathon pace and your 10K pace together, then divide by two. The challenge, similar to a half or full marathon, is holding that pace for 10 miles. A half marathon effort is comfortably hard but somewhat easily sustainable. This pace at its hardest is more like a tempo run you’d only hold for 60 minutes max. Pick a comfortably hard pace you think you can maintain for an hour, and run an uninterrupted tempo run at that pace for as long as you can. Aim for an hour minimum. IMPORTANT: If your heart rate reaches 90% of your max or your known 10K effort, stop the workout immediately and note your distance traveled. If you find you can’t run at least 6.5 miles at that pace, wait a week and try again at a pace 5 seconds per mile slower (3 seconds per kilometer). Again, run for at least an hour and aim for 6.5 miles without distress or other trouble. And again, if you miss the mark, repeat a week later with a pace 5 seconds per mile (3/km) slower. If after 3 tries you haven’t been able to finish 6.5 miles… just use your half marathon pace as your 10 Mile pace. That is for all intents and purposes your 10 Mile pace. Train accordingly with that pace until race day. … now how do you train for a 10 Miler, you may ask? I’ll get to that at some point, but I’ll leave it at that for now. I have no visions of trying ultramarathoning anytime in the foreseeable future. But I realize that at some point, once I’ve done enough marathons, I will at least consider running a 50K (31.07 miles), possibly up to 100K (62.14 miles). I have running friends who have dabbled in ultra running. In fact, friend and former Fleet Feet Racing Team coach Kyle Larson is (as of this post date) the current reigning back to back champ of the Frozen Gnome 50K. From what I have learned, ultra running is clearly different in that you really can’t “race” an ultra the way you can race any distance up to the marathon. In theory, any stretched out runner can run 26.2 miles with minimal trouble if they pace themselves slowly enough. It’s racing the distance that poses the ultimate challenge. However, once you get into ultra distances, you’re really just running at your best easy to moderate pace. And it’s about survival, or finishing the distance within a time window like 12 hours. Most runners who get into ultra running tend to be sturdier framed, more compact runners who aren’t as speedy in their running but can durably run long distances day after day. These races are often run on trails, so ultra runners tend to train a lot more on rugged terrain. Ultra runners also tend to wear different footwear than conventional competitive runners, since they log such massive training volume. Shoes like Topo Athletic and Skora, known for their trail-friendly durability, are popular with ultra runners. The more conventional footwear often takes a backseat. I often play around with Electric Blues‘ complex Daniels Tables to get an idea of goal and benchmark paces for training ahead of more conventional, much shorter races. I also use it to judge the intensity of various workouts as well as the intensity of my training. I’ll probably go into more detail on how I use this data in a future post (as it’s 9:20pm CDT now, and to get into it now would keep me up until midnight on a work night, as it’s somewhat complex). But I have played around with this to get an idea of the intensity at which a runner can reasonably run an ultra. A 50K (31.07 miles) is still within the realm of being race-able, though obviously you’re not going to give it the same effort as a marathon. You probably should run it more like a sustained moderate run. In fact (though he didn’t intend his written marathon programs for this), Jeff Galloway’s run/walk training methods are also a great approach to training for a 50K. It’s once you get into the 50+ mile range that race pace is merely a function of how fast you can comfortably go while running at an easy intensity. A 100K would probably be run at the pace of a gentle recovery run, whereas the real challenge is maintaining that gentle run for 12-16 consecutive hours (while of course working in breaks to use the restroom and to eat, since at that length of time you will need to eat meals of some kind to continue functioning). Once you’re in the 100 mile range (like the world famous Diagonale de Fous route of the Reunion Grand Raid), you are basically running for survival as much as competition, and you focus on doing what you have to do to stay upright through the finish. The key aspect to the slower pacing in an ultra is not just the lengthier race in itself, but that you must conserve glycogen and rely much more on burning fat. You simply could not digest enough carbohydrates to fuel a normal race-pace effort at these distances even if you wanted to. Therefore you must master sustained running at a lower intensity. Thus the fuel for these ultra races tends to be a lot more robust than your typical gels and Gatorade. Runners often swear by bars and other chewy snacks and other whole food. Some will prepare a special bottle as elite runners do for marathons, but these concoctions more resemble protein shakes than eletrolyte solutions in their consistency. Also, you often have to pack your own food and carry it as you run. These courses are often in remote regions, and you won’t see the robust on-course support that you see at marathons. If there’s an aid station, it’s probably every several miles or so. On a loop course, there might only be one. And what nutrition they might be carrying is fairly limited, more of an emergency supply than something you can rely on. And ideally you want to dictate your fuel intake anyway, so you’re just better off bringing your own gear. Carrying this gear furthers the need to run at a slower pace. Standard disclaimer: A lot of this can vary from race to race, and many experienced ultra runners have had differing experiences than what’s described above. Because it’s largely uncharted territory, most experienced ultra runners follow their own approach to doing things that works for them. It remains a vast field of potential in terms of the possibilities for training and for race strategy, even as the popularity of ultra racing has improved in recent years. I didn’t mean for this by any means to be a complete treatment on ultra racing. I’m hardly scratching the surface, and I’ll probably have more to say on it as I do more research. Plus, again, it’ll probably be a long while before I entertain doing one. But it’ll be interesting to see if strategies and coaches emerge in the field of ultra running. The possibilities, while not endless, are vast.